The Honeywell Analytics ACM 150 FT-IR Centralised Gas Monitoring System uses Fourier Transform Infrared Technology, that is trusted and proven, in order to detect a wide array of volatile chemicals. 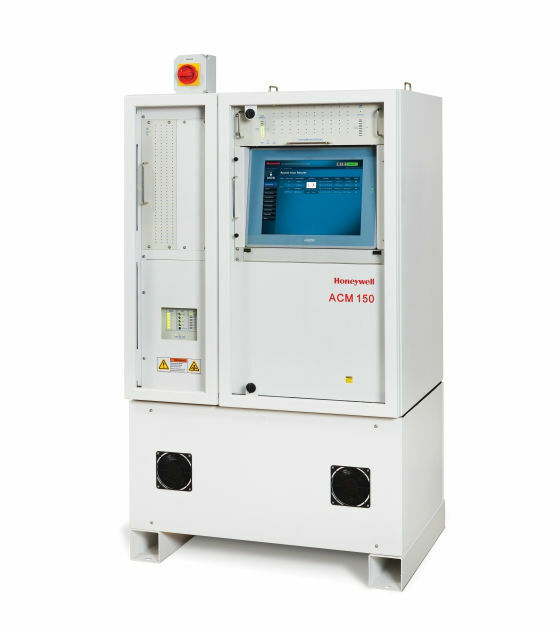 The ACM 150 by Honeywell Analytics uses Fourier Transform Infrared Technology, that is trusted and proven, in order to detect a wide array of volatile chemicals. Free of cross interference, the ACM 150 FT-IR Centralised Gas Monitoring System identifies each gas using its infrared fingerprint, whilst also being able to identify odors or chemicals that are unknown. New gases can be added to the system at any time. The ACM 150 can detect percent (%) levels for flammable gas monitoring or PPM levels for the monitoring of toxic gases by choosing between two sample cells. The system can be accessed remotely by using a web browser in order to change alarm configurations or gas selections. This can also be done using the front panel. 76-165-14594-00-A Kit, Line Leak,3/8T Check Valve Note: 1 per sample point required. 76-215-12477-00-B ACM internal hardware for Line Leak Option for dual electric pump systems. 76-215-12475-00-D ACM internal hardware for Line Leak Option for Venturi pump systems. 76-215-12477-00-B ACM internal hardware for Line Leak Option for dual electric pump systems. Note: Assy, Line Leak requires qty 1 off item 76-220-13588-00-A when used as a replacement for ACM 100. 76-215-12475-00-D ACM internal hardware for Line Leak Option for Venturi pump systems. Note: Assy, Line Leak requires qty 2 off item 76-220-13588-00-A when used as a replacement for ACM 100.